If your in the need for a proper boot and want to get a mix of serious and luxury, this find may be for you. THOM BROWNE aesthetic is undeniable. The New York brand champions stripes, shrunken tailoring and playful twists, yet it takes a serious stance on footwear. 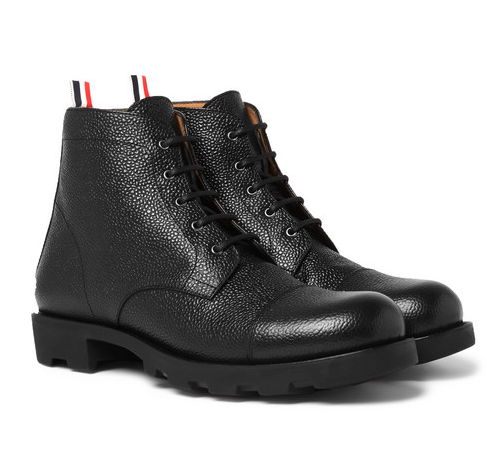 Meticulously crafted in Italy, these boots are made from hard wearing pebble grain leather with pull tabs for ease of getting them on and off. This is a easy like or not but they are timeless and thats important in a good boot. Go HERE to grab a pair today.